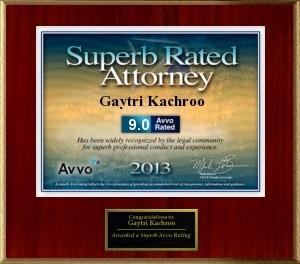 Dr. Gaytri Kachroo has 30 years of experience as a litigator and corporate lawyer and is admitted to practice in Quebec, Massachusetts and New York. She has co-chaired international practice groups and the India practices of law firms in the Boston area and has practiced transactional domestic and international business law, representing companies from small and medium sized enterprises (SMEs) to multi-national corporations (MNCs) in mergers and acquisitions, outsourcing, technology licensing, joint ventures and cross-border issues. Through KLS, Dr. Kachroo offers corporate and general counsel services to individuals, entities and institutions. Over the past five years, Dr. Kachroo has become one of the foremost legal experts on the Madoff fraud. In February 2009, Dr. Kachroo represented fraud investigator, Harry Markopolos, before the House Financial Services Committee and the Senate Banking Committee. She also represented Mr. Markopolos and his Madoff investigation team, Frank Casey, Neil Chelo, Michael Ocrant before the SEC Inspector General. Immersed in the intricacies of the fraud investigation conducted by Mr. Markopolos and his team and fully versed in the decade-long attempt of Mr. Markopolos to alert the SEC authorities to Madoff’s Ponzi scheme, Dr. Kachroo has gained unique expertise. She is well-equipped to advise individuals, other law firms, institutional investors, and funds on the complex cross-border and domesic issues raised by Madoff and other fraud litigation and to effect maximum recovery for those innocently victimized by financial fraud. In recognition of her accomplishments and expertise, Dr. Kachroo was appointed Vice-Chair of the Global Alliance on the Madoff case. The Global Alliance is comprised of some 50 law firms and 5000 lawyers from approximately 28 countries. Her appointment is to lead the Alliance’s initiative for the creation of a new International Finance Court, along with other possible substantive proposals for regulation of financial services sector. She will coordinate the proposal effort with Alliance members as well as with UNCITRAL, members of the U.S. Congress and other U.S. governmental agencies and experts in the financial services sector. Dr. Kachroo currently co-chairs the international law section of the Boston Bar Association, is Chairman of WorldBoston (a World Affairs Council Member), and is a member of a number of international and local organizations promoting global communication, network ng, education, and enhanced participation of women in global governance. She has authored several articles and theses in the areas of international human rights, violence as an institutional systemic concept, outsourcing to India, international legal issues relating to Israel and Kashmir, the relevance of diversity to the evolving concepts of property and contract in the international context. Dr. Kachroo has taught international business transactions at the Southern New England School of Law and assisted with teaching at Harvard Law School. She has spoken about her experience with the Madoff fraud at a number of venues for Hedge Fund investors, Harvard Law School,and the University of London. She has also spoken to business and professional gatherings on the internationalization of legal education, outsourcing, and international intellectual property law.